Eight years ago Belgian photographer Sebastian Steveniers (Koninklijke Academie voor Schone Kunsten Gent, 2015) was invited to the wedding of his best friend in Serbia. He didn’t know anything about the country, besides that it had been in a war. The four days that he spent there left a great impression on him. He experienced the people as untouched and pure. Although they didn’t speak the same language, he was accepted as one of their own. 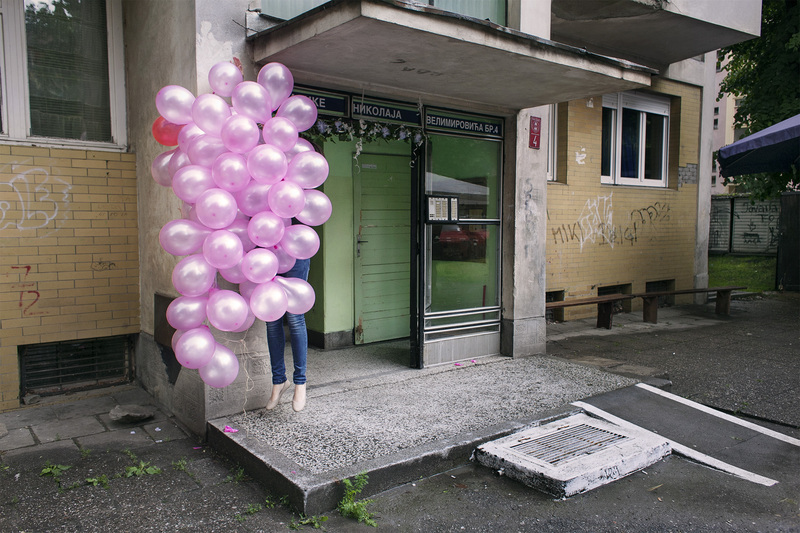 For his series Sumadija, he travelled back multiple times over the period of one year and lived for more than four months in Kragujevac, the capital of Sumadija in Central-Serbia. This region is known for its nature and its mountains. There is basically no tourism and little influence from the West. People are mostly self-sufficient and farming is their main income. Steveniers experienced Sumadija as a fairytale, in which elements of daily life blend into a magic-realistic world that looks strange for him as an outsider. From an open and honest perspective he captures his curiosity for the region and its people. The photographs convey a sense of humour, a light-hearted touch and a hint of surrealism.